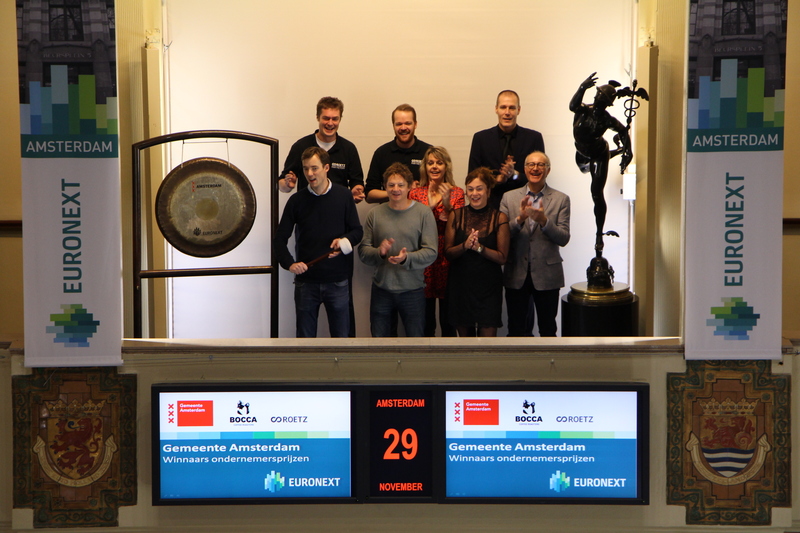 Gerrit Jan and Quinta Witzel jointly sound the gong at the Amsterdam Exchange. Their restaurant chain, Poké Perfect, has been nominated for the Best Restaurant Awards 2018. Thuisbezorgd.nl, the Dutch branch of the Euronext listed Takeaway.com (ticker symbol: TKWY), selected a number of restaurants on which customers can vote until 6 January 2019. The Witzel siblings started Poké Perfect after they wanted to offer a healthy alternative to fast food. 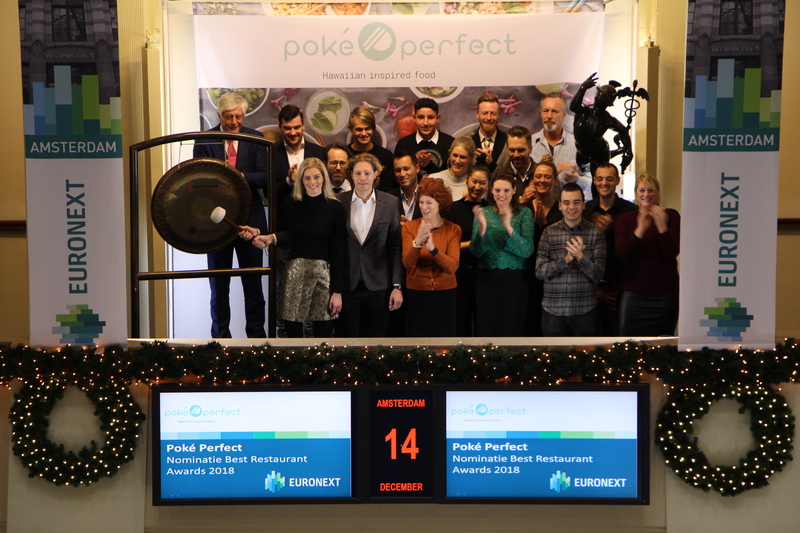 Poké Perfect opened its first branch on the Prinsengracht in Amsterdam in October 2016, followed by two more branches in Amsterdam and one in Utrecht. Recently the fifth restaurant opened, in the World Trade Center at the Amsterdam Zuidas. Quinta Witzel says: "We are very honored with the nomination, especially because it is motivated by the appreciation of our customers. Thuisbezorgd.nl is an important partner for us and a we of course hope that many people will make the effort to vote for us! " Poké Perfect is known for the Poké bowl , a Hawaiian dish that is traditionally based with sushi rice, and supplemented with raw fish, vegetables and fruits. Poké Perfect offers various signature bowls, for example also with chicken, tofu or tempeh, and customers can also build their own bowl with their favorite ingredients. Takeaway.com is a leading online food delivery marketplace, focused on connecting consumers and restaurants through its platform in 10 European countries, Israel and Vietnam. Takeaway.com offers an online marketplace where supply and demand for food delivery and ordering meet. 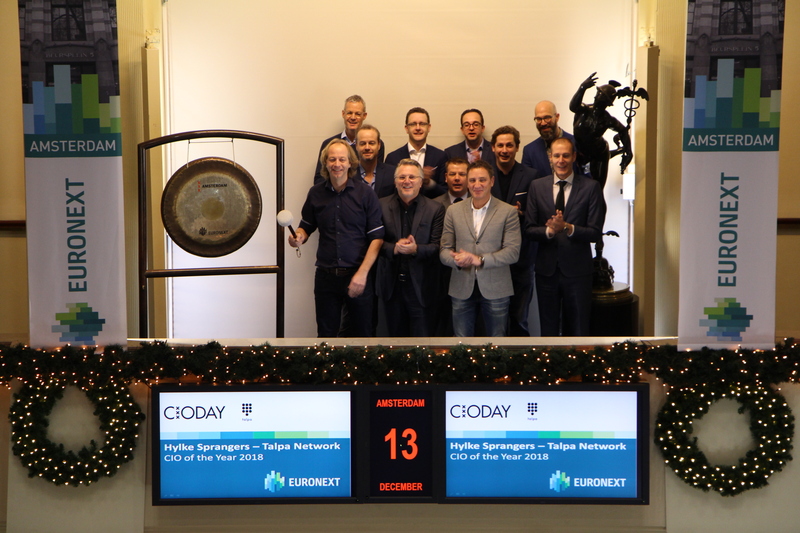 Hylke Sprangers (48) is technology leader of Talpa Network and has recently been named the winner of the CIO of the Year Award 2018. In honor of this he opened trading at the Amsterdam exchange. Hylke can now call himself the best chief information officer of the Netherlands. He owes the award to his crucial role in the digital development of media and entertainment company Talpa Network. Rob Beijleveld, CEO of ICT Media and initiator of the CIO of the Year Award, finds Sprangers a shining example in the digital world. 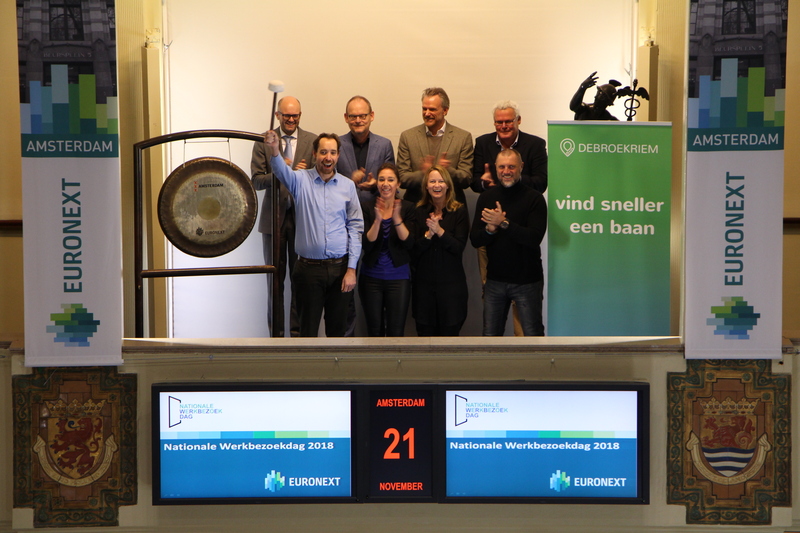 “He knows how to successfully compete with media groups worldwide with a relatively small club!” The other members of the jury were also very positive about the winner. 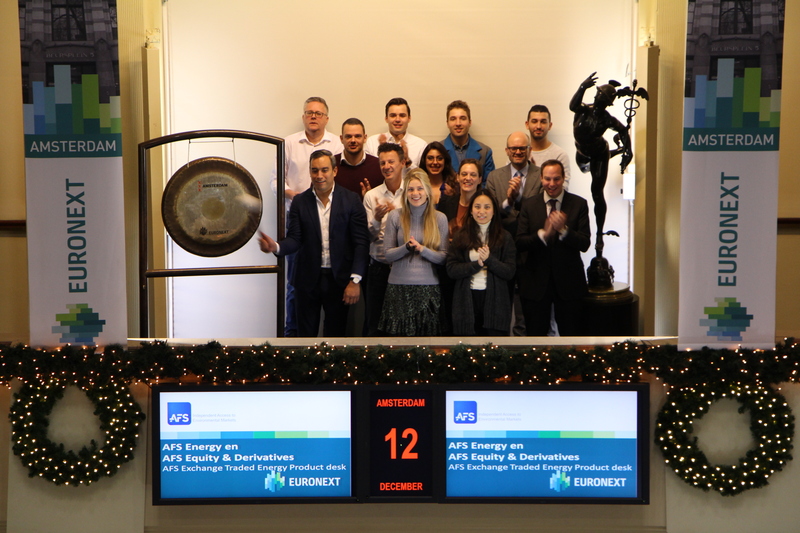 AFS Energy and AFS Equity & Derivatives celebrate the roll out of the AFS Exchange Traded Energy Products desk (ETEP). Growing demand from clients has brought AFS to establish this new desk which maximises knowledge and synergies between the existing businesses of AFS Energy and AFS Equity & Derivatives. Mr. Borchert was appointed CEO of GrandVision in February of this year. 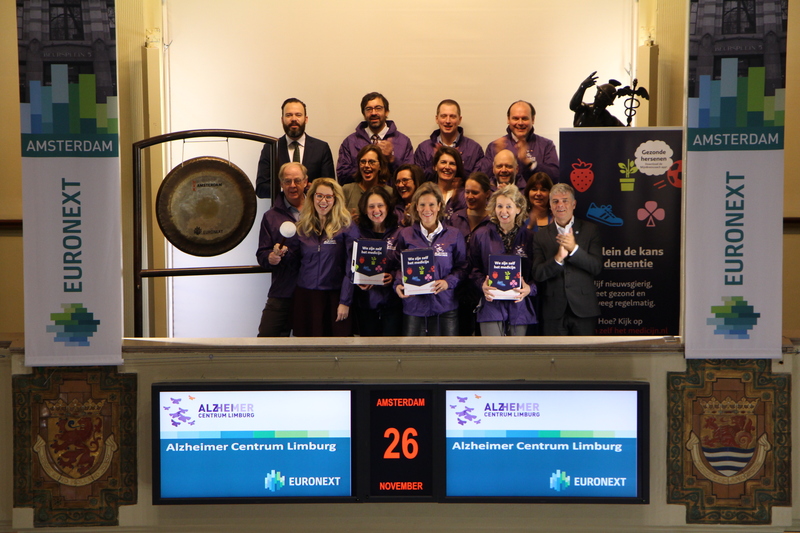 In honor of this he opens trading by sounding the gong at the Amsterdam exchange. At the Capital Markets Day in September Borchert presented GrandVision’s strategic ambition. While reconfirming GrandVision’s medium-term financial objectives. GrandVision is a global leader in optical retailing. The company delivers high quality and affordable eye care to more and more customers around the world. GrandVision serves its customers in more than 7,000 stores and with over 36,000 employees in more than 40 countries worldwide. 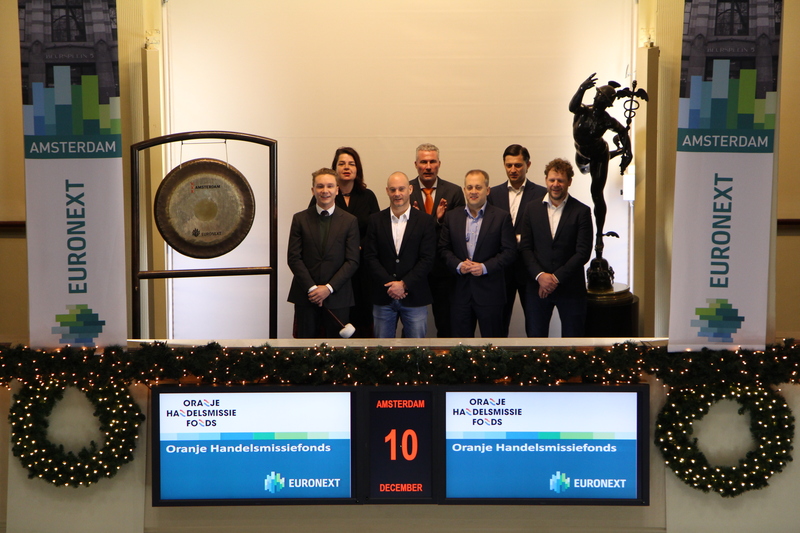 The Oranje Handelsmissiefonds was established in 2013 by ING, KLM, MKB-Nederland and the Dutch Ministry of Foreign Affairs in collaboration with the Netherlands Enterprise Agency. 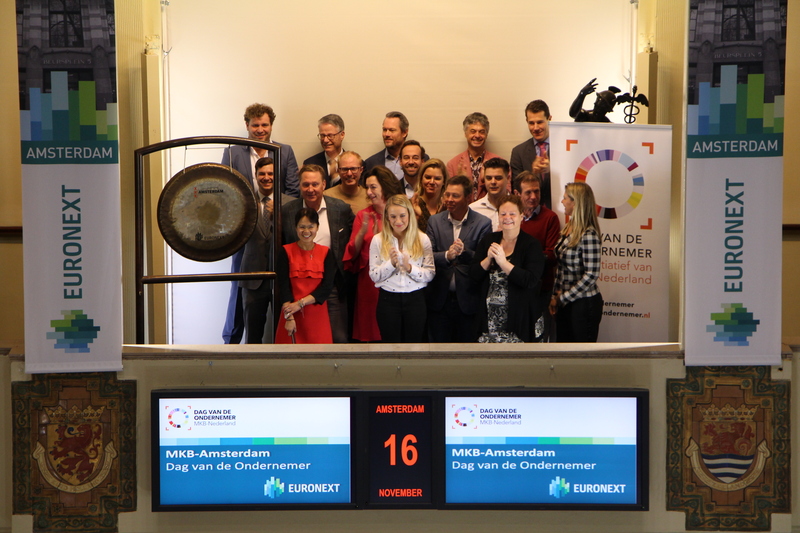 Eleven companies win a year of guidance and support from the five Oranje Handelsmissiefonds partners in realizing their international ambitions. 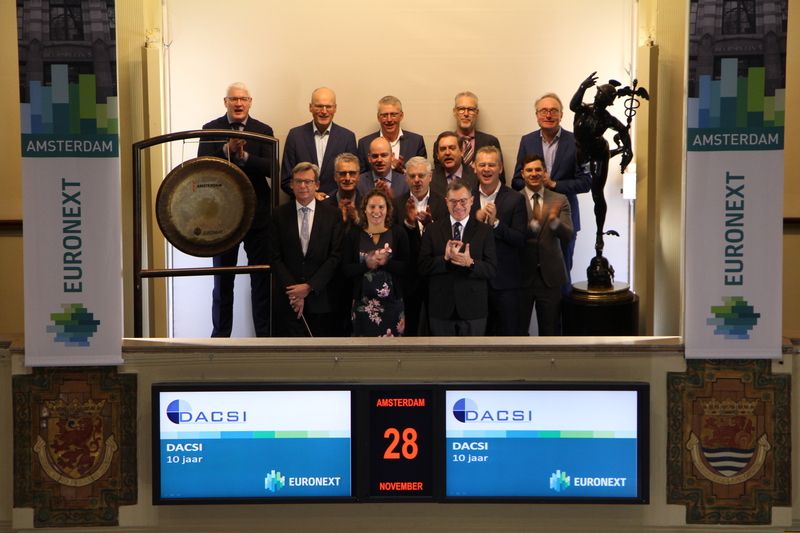 To celebrate BlackRock’s 30th anniversary and 20 years in the Netherlands, Monique Donders, country manager Netherlands at BlackRock, sounds the gong to open trading on the Amsterdam Stock Exchange. BlackRock is an investment manager who is helping millions of people and the world’s biggest institutions and governments to reach their investment goals. 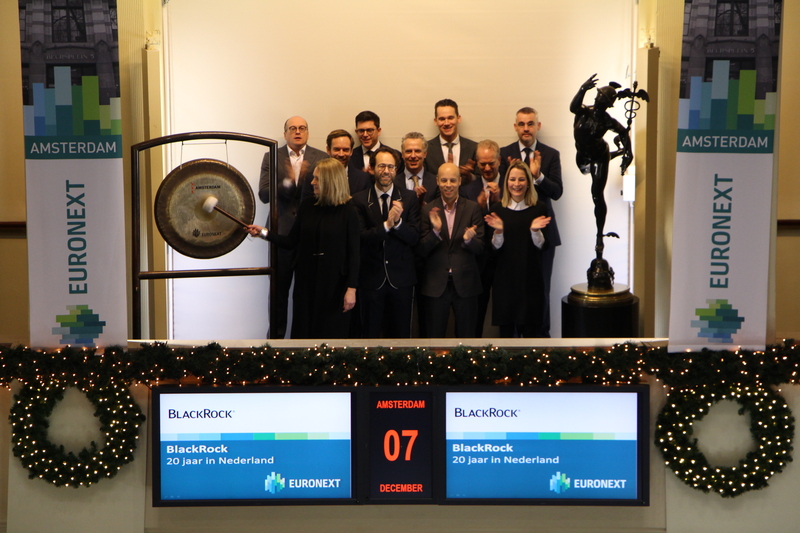 BlackRock plays a prominent role on the Dutch market, both for large institutional and private investors. 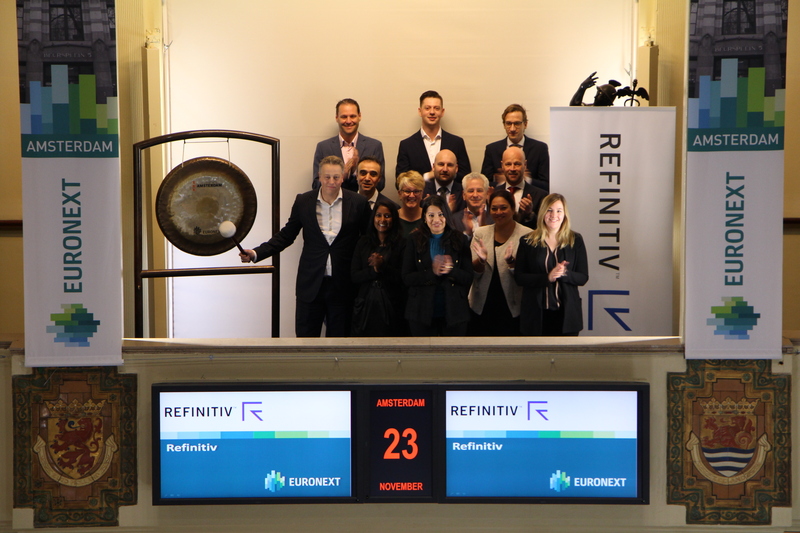 From their Dutch office in the Rembrandt Tower in Amsterdam, their 60-strong team offers support to banks, asset managers, advisers and institutional clients such as pension funds. BlackRock helps investors build better financial futures. As a fiduciary to our clients, they provide the investment and technology solutions clients need when planning for their most important goals. As of September 30, 2018, the firm managed approximately $6.44 trillion in assets on behalf of investors worldwide. Carine de Meyere Director Partnerships TEDxAmsterdamWomen & the Startup award 2018, opens trade on the Amsterdam stock exchange. 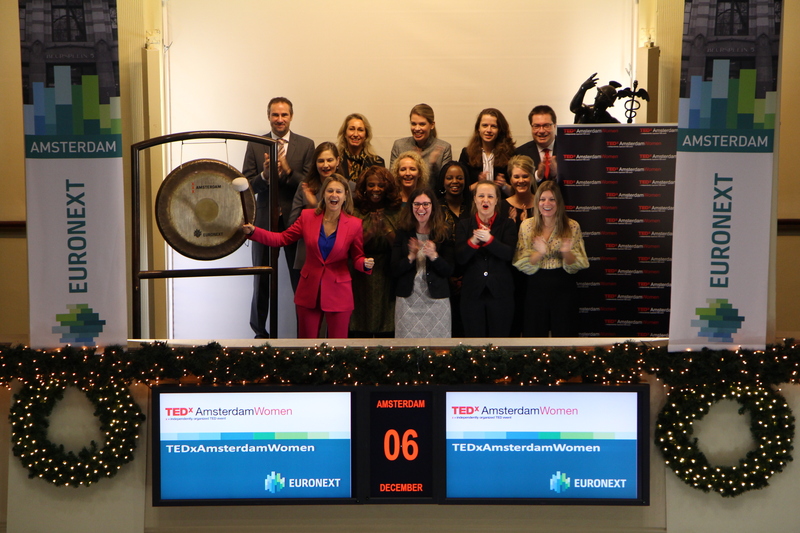 She shares the stage with the TEDxAmsterdamWomen team and a large number of partners including ABN AMRO, NN, Accenture, Cathay Pacific Clifford Chance, Aon, Allen & Overy, Facebook, Boeing , Salesforce, Philips and Microsoft trade on the Amsterdam stock exchange. The 9th edition of TEDxAmsterdamWomen will take place at the KIT in Amsterdam on 6 December. |In addition, the final of the 4th TEDxAmsterdamWomen startup award will take place. Dailah Nihot - member of the Management Team of NN will award the main prize. The Startup Award provides the stage for inspiring and high-potential startups that are women-led. The winner will receive a business trip to Hong Kong, business expert advice from all partners and the opportunity to meet and attract potential investors. In December 2010, the first TEDxWomen event took place outside America. TEDxWomen is a global conference in America that offers a platform for women who inspire other women and who can be considered a role model. The event focuses in particular on the unique way in which women contribute to change on a large scale and to show how they shape the future. 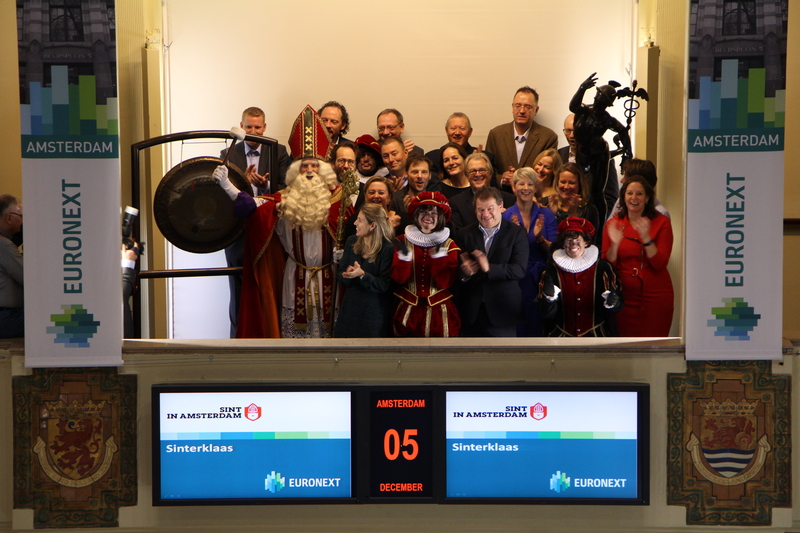 Like previous years, Saint Nicolas visits Beursplein 5. As is tradition, he opens trading surrounded by his ambassadors. This years welcoming parade marked the 80th arrival of Saint Nicolas organized by foundation Stichting Sinterklaas Intocht Amsterdam. The arrival of the Saint in Amsterdam is a fantastic party, mostly thanks to the dedication of 1,200 volunteers and the support of many large and small sponsors. ASN Bank offers the best sustainable investment products according to private investors. 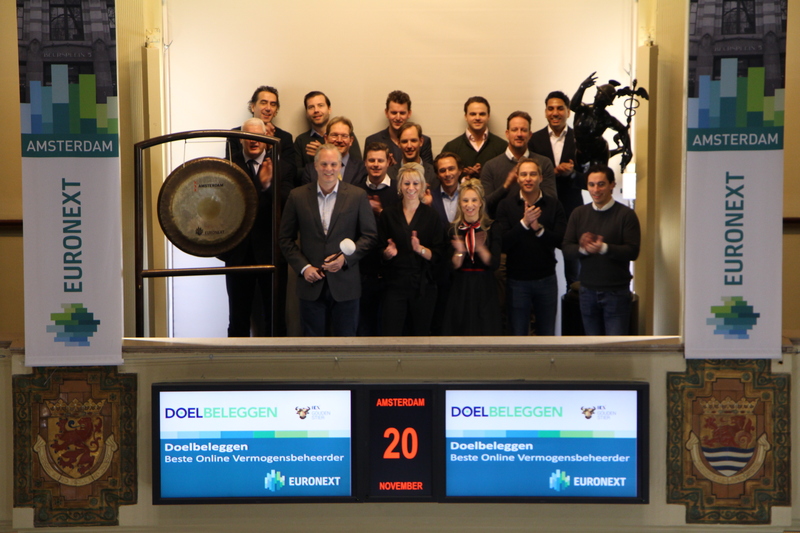 Consequently, in November the bank received the Cashcow Award in the Best Provider Sustainable Products category. 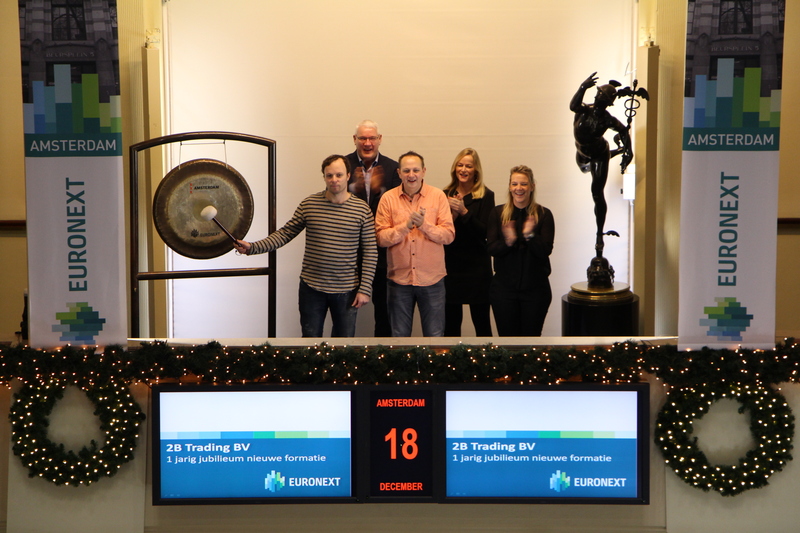 To celebrate this, product manager Ingmar Soek, openes trading at Beursplein. In 1993, ASN Bank set up the Netherlands’ first sustainable equity fund. The bank now offers twelve different investment funds, with the aim of realising the optimum reward for investors and for the world. In November, Randstad became the largest HR service provider in the world. 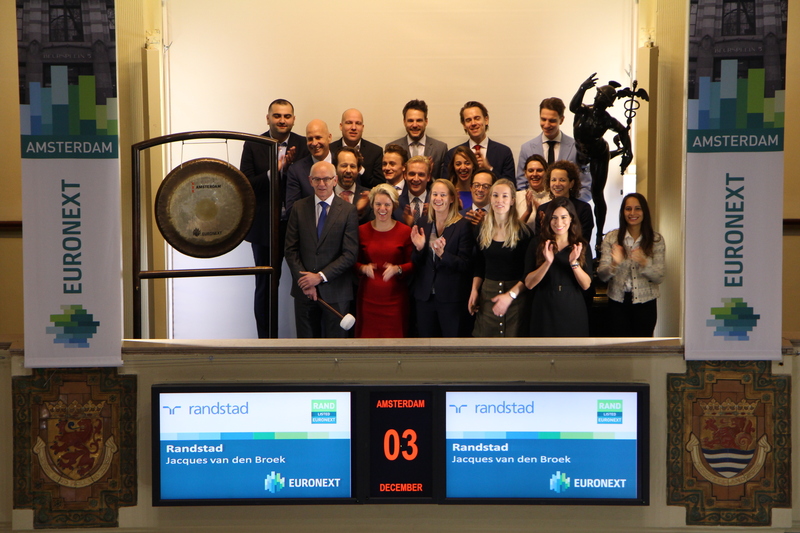 To celebrate this, Jacques van den Broek, CEO of Randstad, opens the Amsterdam stock exchange. Jacques is accompanied by CFO Henry Schirmer, senior staff and young talent from Randstad and its brands. How did the company grow so big? Randstad was founded in 1960 by Frits Goldschmeding and is now active in some 40 countries. By helping candidates and clients to reach their true potential by combining her passion for people with the power of today's technology. Randstad calls this Human Forward.